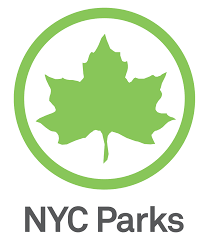 Fort Tryon Park’s American Elms Need Your Help! Fort Tryon Park boasts a collection of over 40 mature American and English elms, some of which are over 100 years old and predate the park. These trees form the incredible architectural canopy at the north end of the Stan Michels Promenade, around the New Leaf Restaurant, by the Cloisters and flanking the Broadway Promenade. Their shade, springtime flowers, and majestic shapes contribute significantly to the park’s enchanted landscape. In recent years, Dutch elm disease has entered the park and resulted in the loss of 7 massive trees. To protect the remaining elms, the Fort Tryon Park Trust has embarked on an aggressive program with NYC Parks that includes sanitary pruning, aeration of tree roots, and inoculation against Dutch elm disease. This year the Trust is funding the $35,000 inoculation regiment needed to safeguard these trees. When the park loses an elm, it loses a piece of its history and a significant contributor to its scenic landmark character, which would take a century to recapture. Join the campaign to preserve Fort Tryon Park’s American elms. Make an individual donation here and select the American elm donation option.